1770 -1843. Born at Kimbolton, Herefordshire, and baptised on 2 June 1770, he was the son of Francis Brace of Stagbatch in Hertfordshire. Brace’s service commenced as a volunteer on 15 April 1781 when he joined the Artois 38, Captain John MacBride. He was rated an able seaman upon removing on 4 July 1783 to the Janus 32, Captains Robert M’Evoy and William Pakenham, and after seeing service in the West Indies he was promoted midshipman on 1 May 1785. Returning to England, he served aboard the Portsmouth-based Victory 100, Captain Charles Hope, during the Dutch Armament from October 1787, removing thereafter on the same station to the troop ship Gorgon 44, Lieutenant Charles Craven. In June 1788 he joined the Edgar 74, Captain Charles Thompson, serving at Portsmouth as a guardship and in the Channel. Brace was one of many junior officers who were given a berth aboard the Crown 64, Captain James Cornwallis, with the broad pennant of Commodore Hon. William Cornwallis, sailing for India in February 1789, where in November 1791 he removed with the commodore to the Minerva 38. He was commissioned lieutenant on 15 March 1792, and on 15 May joined the sloop Ariel, Commander Edward James Foote, returning to England in September. Brace’s next appointment was in January 1793 to the Iris 24, Captain George Lumsdaine, seeing service in the North Sea and the Mediterranean, and transferring with that officer to the Polyphemus 64 in April 1794 for duty off Ireland. For a brief period, from December 1795 until March 1796, he commanded the cutter Hazard. He then returned to the Polyphemus and was her senior lieutenant when she captured the French frigate Tartu 44 on 5 January 1797, this being one of the vessels that had formed part of the French invasion fleet of Ireland which had put to sea in December 1796. Promoted commander on 30 June 1797, Brace joined the Kangaroo 18, armed with 32-pounder carronades. On 15 October 1798, being in company with the Révolutionnaire 38, Captain Thomas Twysden, and the Mermaid 32, Captain James Newman Newman, he fell in with the French frigates Sémillante 36 and Loire 40 off Blacksod Bay, County Mayo, these vessels being part of Commodore Bompart’s Irish expedition which had been intercepted by Commodore Sir John Borlase Warren’s squadron on 12 October. When the two Frenchmen took separate courses Brace kept company with the Mermaid in chase of the Loire, and after losing her in the night he re-discovered her at dawn on the 16th. Brace managed to take the Kangaroo into action at 3 p.m., but against huge odds was forced to withdraw, having lost his fore-topmast and seen his foremast badly damaged. On the next day the Loire dished out similar treatment to the Mermaid, but on the 18th the rapidly repaired Kangaroo joined the Anson 44, Captain Philip Durham, in finally bringing the Loire to account. In July 1799 the Kangaroo returned to Plymouth from a cruise in the Bay of Biscay with a recaptured brig carrying wine, and in February 1800 she took the privateer Télégraphe 14 on the Irish station. She was less successful in an engagement with the privateer Grand Decide 18 on the 25th of that month when that vessel escaped after a fifty minute engagement. Eventually posted captain on 22 April 1800 after further service out of Plymouth, Brace left the Kangaroo and enjoyed a brief sojourn as flag-captain to Vice-Admiral James Gambier in the Channel aboard the Neptune 98 from 27 March 1801 until she returned to Plymouth in September. From December he commanded the Camilla 26, and he was flag captain once more to Gambier aboard the Isis 50 from June 1802 at Newfoundland before returning to Spithead at the end of the year. After the resumption of hostilities Brace commanded the Dreadnought 98 from April to September 1803 as flag-captain to Admiral Hon. William Cornwallis in the Channel, and he next had the twelve-pounder Castor 32 as a guardship at Liverpool during the remainder of 1803, and in the Downs in the second part of 1804 before leaving her in the following March. He immediately recommissioned the twelve-pounder Iris 32, cruising off Ferrol and Corunna, and falling in with Vice-Admiral Villeneuve’s fleet off Cape Ortegal on 13 August during the campaign leading up to the Battle of Trafalgar on 21 October. In September 1805 he transferred to the Virginie 38, commissioning her and cruising out of the Downs before serving off Spain where he took the Spanish schooner privateer Vengador 14 on 9 April 1806, which prize he carried into Plymouth in May. During September the Virginie was docked at Portsmouth before returning to the Cork station. In February 1807 he took a convoy out to the West Indies, and returning to Europe he served thereafter out of Cork, on which station his command captured the notorious Spanish privateer Jesus Maria Josef 14 on 28 September 1807. On 19 May 1808 the Virginie captured the Dutch frigate Guelderland 36 during a night action of ninety minutes to the south-west of Ireland, losing one man killed and two wounded as opposed to twenty-five men killed and forty wounded aboard the enemy. The Guelderland, which had been the subject of Captain George Bettesworth search when he was killed off Bergen on 15 May 1808, was bought into the service as the Helder, whilst the Virginie was eventually paid off after further convoy duty and cruises in March 1810. 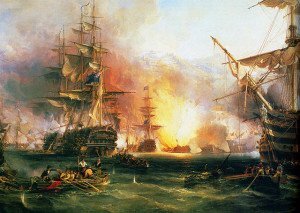 In September 1810 Brace succeeded Captain Francis Austen aboard the St. Albans 64, joining the blockade of Cadiz where he remained for the following year commanding a squadron in support of the Spanish army. From December 1811 he commanded the Berwick 74, going out to join the Mediterranean fleet off Toulon that month. 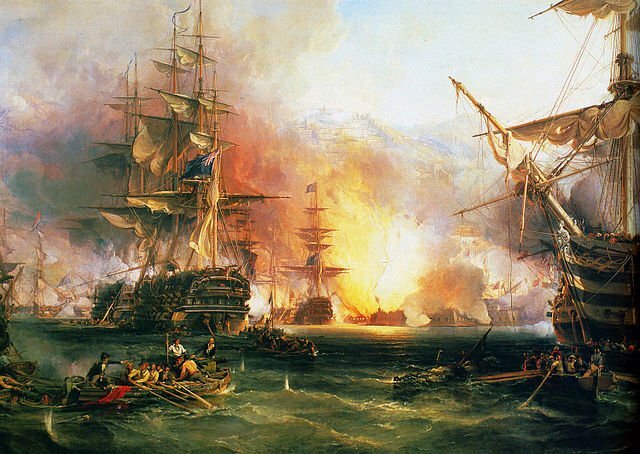 His boats with those of the Euryalus 36, Captain Charles Napier, attacked a convoy of twenty French coasters in the Cavalaire roads between Hyères and Fréjus on 16 May 1813, destroying those which could not be carried out for the loss of one man killed and one missing. A cutting out expedition on 11 December, when his boats took a schooner at Fort Negaye near Fréjus and used her cannon to sink another schooner, was not so successful as this resulted in the loss of his first lieutenant Henry Johnston Sweedland, the midshipman son of Admiral James Whitshed, the entire gig’s crew, and two-thirds of the barge crew. Thereafter the Berwick participated in the reduction of Genoa in April 1814 under the orders of Commodore Josias Rowley, with Brace overseeing the stripping of the naval arsenal. His ship was also present at the reduction of Gaeta in 1815, and later that year she returned briefly to Portsmouth for a refit. Brace was nominated a C.B. on 4 June 1815, and in June 1816 commissioned the Impregnable 104, which he commanded at the Battle of Algiers on 17 August as flagship to the second-in-command, Rear-Admiral David Milne. During this particularly bloody engagement he lost fifty men killed and one hundred and sixty wounded after failing to anchor his ship close inshore to the batteries, where the enemy guns could not have been depressed to do significant damage. He thereafter captained the guard-ships Ramillies 74 in the Downs and at Portsmouth from August 1821 until May 1823, moving to the Ganges 84 at Portsmouth in June of the latter year. After taking troops out to Gibraltar in November in company with the Superb 74, Captain Sir Thomas Staines, the two men-of-war sailed on to the Leeward Islands before the Ganges returned to England in October 1824 from Bermuda, having encountered very rough weather on passage. In 1822 Brace was granted permission to wear the insignia of the Cross and Order of Charles III of Spain in respect of his defence of Cadiz and action against the Barbary States, and in April 1825 he was given permission to wear the insignia of the Royal Sardinian Military Order of Saint Maurice and Saint Lazare for previous services at Genoa and Algiers. He was appointed a colonel of marines in May 1825 and was elevated to flag-rank on 22 July 1830. Further honours came when he was created a K.C.B. on 17 October 1834, and he was promoted vice-admiral on 28 June 1838. 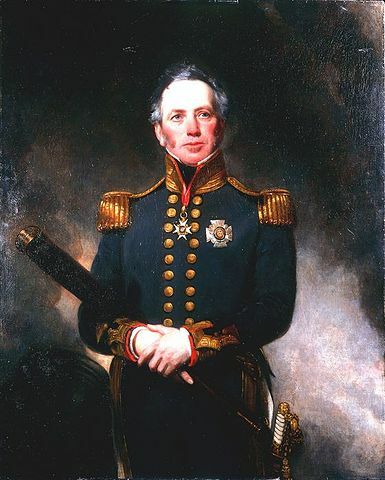 From 8 December 1841 he was the commander-in-chief at the Nore with his flag aboard the Camperdown 104, Captain Francis Brace, and he died whilst still holding this appointment at the Admiralty House, Sheerness, on 26 December 1843, being buried in the family vault at Fareham, Hampshire, where he had lived at Catisfield Lodge. Brace married Elizabeth Fisher on 3 September 1800 at Brockhampton near Ross-on-Wye, but the couple appear to have had no issue. His nephew, Francis Brace, entered the Navy on 5 March 1805 and served with his uncle aboard the Iris, Virginie, St. Albans and Berwick. He was posted captain in 1827, and was Brace’s flag-captain from 16 December 1841 until his death. Another nephew, Herbert Brace Powell, entered in 1797 with Brace aboard the Kangaroo and saw much further service with him, being eventually posted captain in 1822. This officer’s brother died when the Hero 74, Captain James Newman Newman, was lost on Christmas Day 1811. Brace’s sister had earlier married Captain Newman and he was also the brother-in-law of Admiral Stephen Poyntz. According to one eminent historian Vice-Admiral Brace was apparently blessed with neither great ability nor great intellect, and he endured some criticism for the loss of life incurred through his failure to anchor the Impregnable in her correct berth at the Battle of Algiers.